Camera phones can take lousy pictures. Seikimatsu Occult Gakuin episode 2 was just as much fun as episode 1. This Horror-Comedy-Action show has really gotten off to a good start. 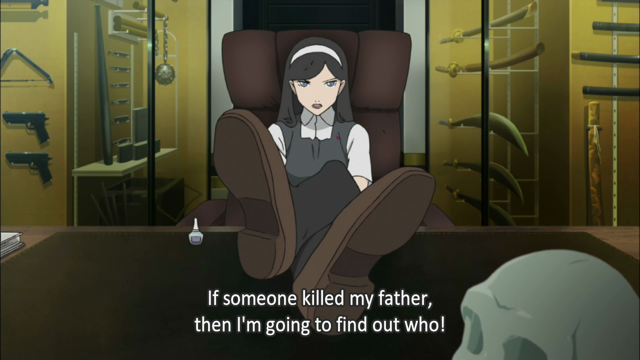 While episode 1 introduced Maya and the academy where the series is located, episode 2 introduced Uchida, the time agent sent back to 1999 to save the future. Hashihime has a detailed essay about Maya’s seiyu, called, Who the Heck is Hikasa Youko? — and why is she getting so many roles? Sapphire Pyro has an excellent post, which catalogs many, many occult references in the OP. Finally, episodes of Occult Academy and several other anime were leaked onto YouTube. ANN has the report. Abe Minoru can share memories ... of a sort. Abe Minoru #6, who claims to be the spoon-bender, Fumiaki Uchida, tells Maya about his mission to save the future. At least two things don’t add up. First, Uchida’s future personality as described (confident and cigar chomping) does not fit with his present personality (which is easily cowed by Maya). This might be chalked up to someone aggrandizing himself, but it does suggest that he isn’t being completely truthful. Second, when Maya asks him to prove he is a spoon-bender, he fails. Why was his supposed 10-year-old self capable of doing it if he can’t? Is he really Fumiaki Uchida? 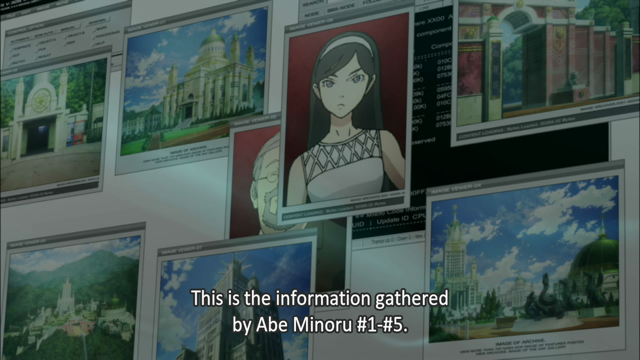 Were the other Abe Minoru Uchida as well? Why do their powers differ (e.g. #5 said he had pyro-kinesis)? There is an extraordinary number of weapons in that room. I’ve seen complaints online that Maya is too harsh to Uchida. If you can’t stand tsundere girls, this probably isn’t the show for you. In her defense, Maya doesn’t believe Uchida at first. In fact she puts two and two together and comes to the conclusion that he is the “great king of terror” that Nostradamus prophesied would come from the sky. Oops. Of course one thing leads to another, and the duo decide to work together. 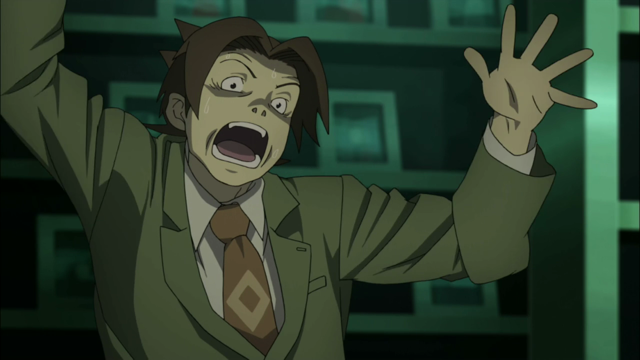 This is a good thing, as there is no question that vice-principal Kawashima (voiced by Yu Kobayashi, e.g. Rio in Sora no Woto) and her assistant are hiding something. 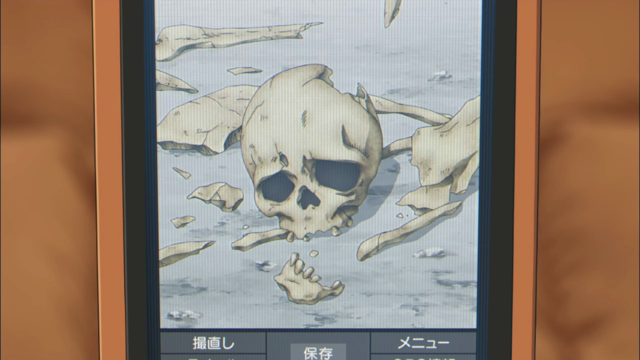 They describe the cremation of Maya’s father’s body as “destroying the evidence”. Nice tie. You get that at time agent camp? Once again I was really impressed by Occult Academy; it is strong competition for my favorite show of the season. The spooky parts were spooky, the action parts were good, and the comedy bits were funny. Speaking of comedy, JK and Smile have a very brief, but funny part in this episode. The backdrop story of inter-dimensional aliens has bothered some purists, but a lot of Internet speculation ties aliens to demons, especially the Annunaki and the Nephelim, or fallen angels, as can be seen in the following video. This might be one of my favorites out of the season. Still keeping it fresh. Occult Academy is definitely one of the better shows of the season, not that that’s saying much, considering the overall quality of the season so far. But in any other season, Occult Academy’s first two episodes would stand out as at least solid. I really hope they keep this up. I was guessing that I would like this one from the trailer, but I think I can fairly say it has blown past my expectations. 2nd best show of the summer! love the comedy bits thrown into the show really fits, Maya is so fun to watch she is a interesting character -nod- can’t wait to see more! Really like the mix of creepy and comic in this series so far. The visual gags, and the visuals overall, are a treat. Clearly there’s more to Uchida than we can guess right now, but I’m really looking forward to seeing how the show develops. Also, thanks for the links in the above bullets, was wondering about all those occult motifs and really hope they incorporate as many of these as possible along the way. Don’t thank me, thank Psycho Panda, err… Sapphire Pyro, who put it all together. I don’t think there will be a second season. There certainly hasn’t been one announced.